Personality: Zach can sing children’s songs with other children. He is a little shy when meeting with strangers, but he is not afraid. He can get along well with other children who are in the same class as him. Zach is descried as cute, kind, and good at sharing. He is loved by his teachers and caretakers. Medical/Special Needs: Zach came into care at almost four years of age, found with a birth note that shared his official date of birth. He was diagnosed with right middle cranial fossa arachnoid cyst and long reconstruction asymmetry of both limbs, Another place in his file mentions CP, which makes sense based on his gait and the fact that he wears lower limb orthotics. On March 7th, 2012, he had a right Achilles tendon lengthening and right semitendinosus lengthening procedure with a plaster external fixator. His has a slight left thumb adduction and his left foot is 0.5 cm longer than his right foot. With continuous wearing of the orthotics and rehabilitation training, Zach’s balance and control have greatly improved. His steps are stable. When walking, he tends to walk on his tiptoes. 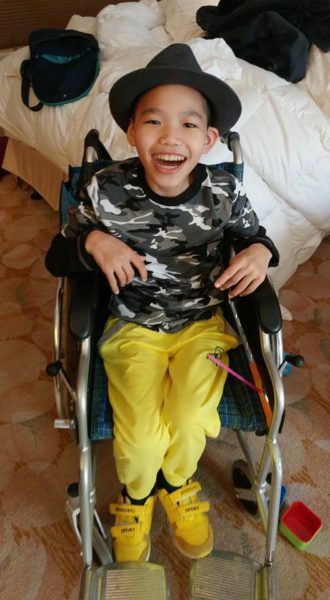 He cannot walk quickly and has not been able to participate in sports. 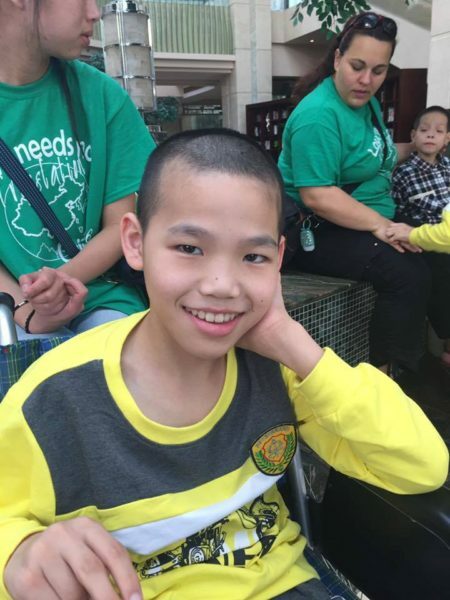 Education/Development: Zach has been receiving special education in the orphanage. At the time his outdated file was written, he could write his name, do addition and subtraction within 10, and classify objects according to their features. He likes coloring and is good at coming up with questions. He likes learning and exploring new concepts. Zach could speak and answer simple questions when he came into care, but his speech was unclear. His speech skills and communication abilities have since improved with therapy.